Some of Europe’s oldest chess pieces and perhaps the most beautiful ever found, are made ​​of walrus ivory and whales’ teeth in Norway in the period 1150 – 1200 AD. In 1831, a great collection of chessmen originally found on the west side of the Isle of Lewis, Outer Hebrides, Scotland, appeared. The pieces are exceptionally elaborate, almost works of art produced by highly skilled craftsmen. In the 12th century AD the Outer Hebrides, including the Isle of Lewis, were part of the Kingdom of Norway. The islands were under Norwegian control for ​​around 200 years until 1266, when they were transferred to Scotland. 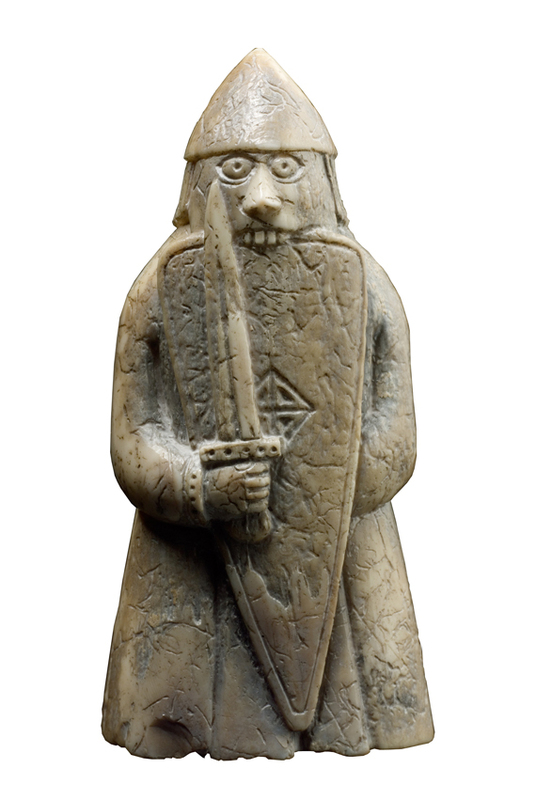 It was found 78 chess pieces, now known as the Lewis Chessmen, 13 other pieces and a belt buckle that had been buried. 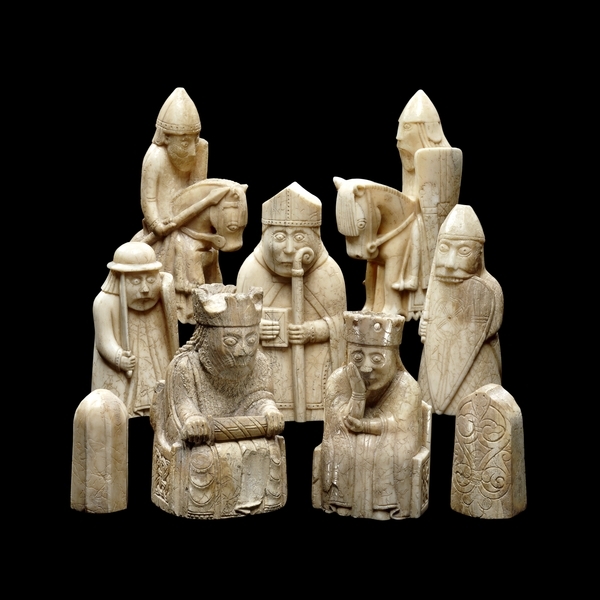 Most of the chessmen were elaborately worked walrus ivory, a few made of whales’ teeth. After analyzing and studying the objects over several decades, researchers are now relatively certain that they came from Norway. What is known with certainty is that the chessmen are vigorously northern in their character and are strongly influenced by Norse culture. This is most evident in the figures of the warders or rooks which take the form of Berserkers, fierce mythical warriors drawn directly from the Sagas. 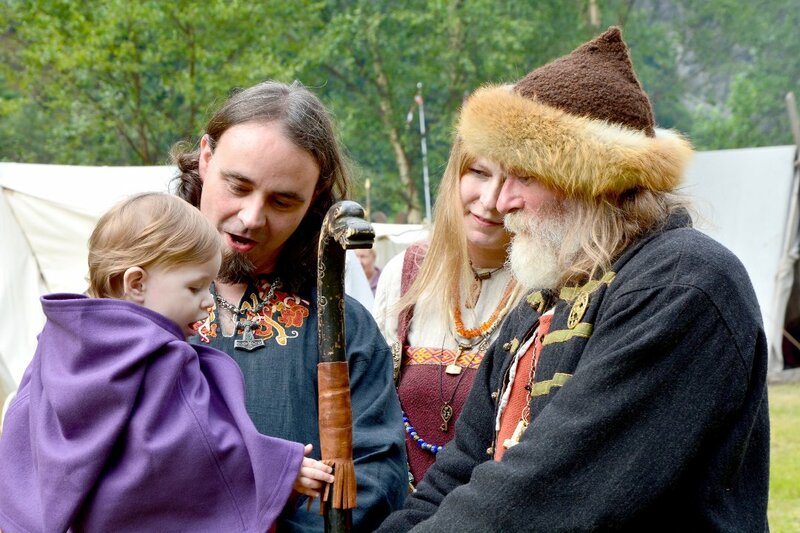 The historic political, economic and cultural links between the Outer Hebrides and Norway and its dominance of the Norse world might suggest that Norway is the most likely place to have produced these high status, luxury commodities. Because there were enough pieces for four chessboards, it is believed they at one time were exported by Norse traders to be sold far from where they were made. The chessmen probably were on their way to Ireland but were of unknown causes buried on the Isle of Lewis. According to the earliest records of the find, some of the chess pieces were painted red. 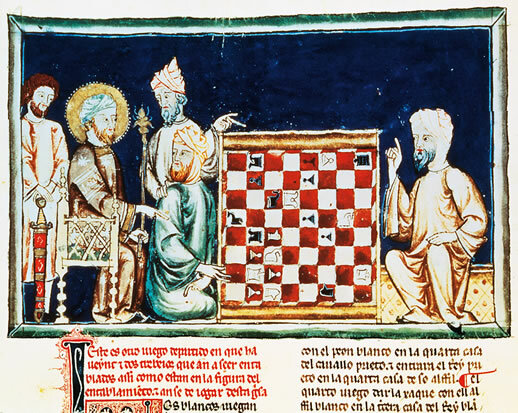 Earlier chessboards also consisted of red and white squares, and not like today’s black and white. It may thus have been red pieces who were played against white. Sometime between November 1831 and January 1832, 82 of the items were sold to the British Museum. After being resold, the 11 remaining items ended up at the National Museum of Scotland in Edinburgh. Oh I have this chess set (most likely a replica) but never knew where it came from. As a child they made playing chess so much more fun! This is awesome. I knew about the chess pieces but never heard of their Norse origin. 78 pieces is not enough for 4 sets….there are 32 pieces per set so 2 plus sets? and no boards? Perhaps the boards were made of wood and rotted away?